Hello my 36th Avenue friends. 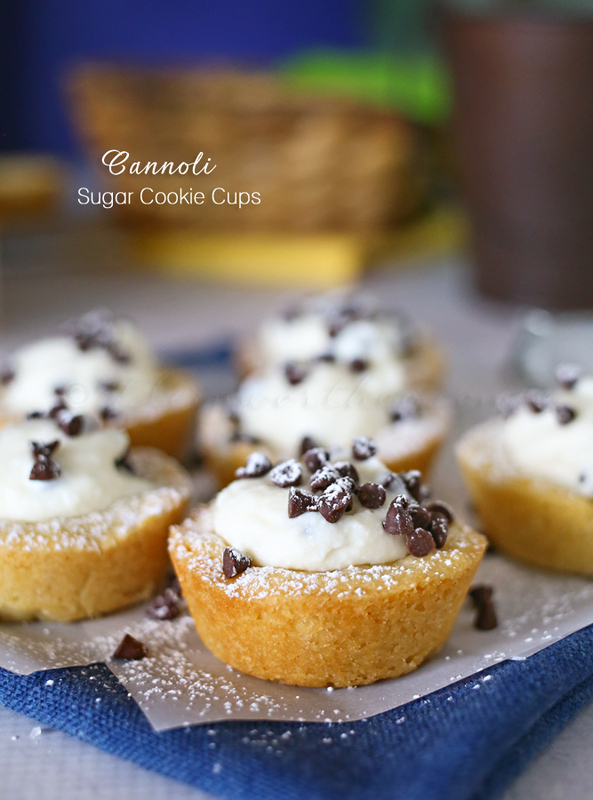 It’s Gina from Kleinworth & Co & I’m so excited to be here today sharing one of my favorite little goodies, Cannoli Sugar Cookie Cups. I absolutely love those weekends when we can have a little family time & take a stroll through downtown & visit all the shops & take in the beauty of the lake. If things work out I get to stop in to the pastry shop & pick up some treats. I always grab some cannolis & sometimes some eclairs too. I like to mix it up with a little bit of Italian & French when it comes to my desserts & I love that I can pick them all up in the same shop. I definitely walk out a happy girl. So it had been a while since we had visited down there & I really wanted a cannoli. 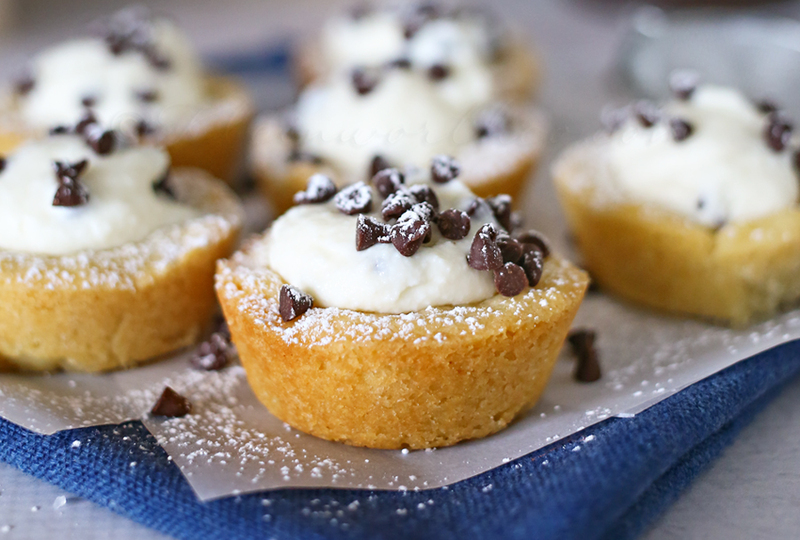 So I decided to change things up a little & use some of my sugar cookie cups I make in bulk just for occasions such as this & spin the classic cannoli into something different. Let me tell you- I’m so glad I did. These were so delicious. The only thing I would change is that I would have made more. They definitely ran out too quick. 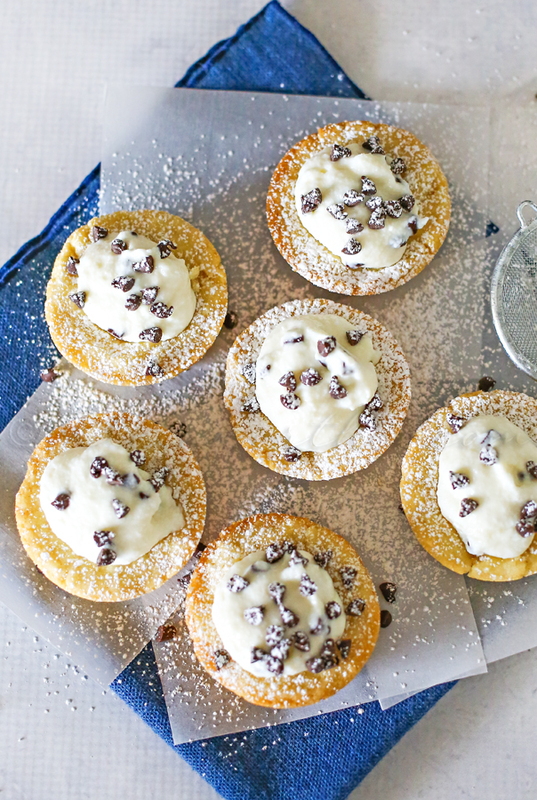 So if you love a good cannoli & sugar cookies, you have to give this twist a try. Do not assemble until ready to serve as the filling will start to soften the cookie cup. 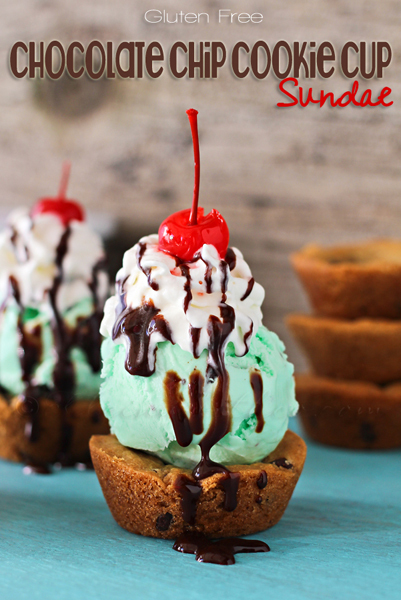 Looking for more great dessert ideas with cookie cups? 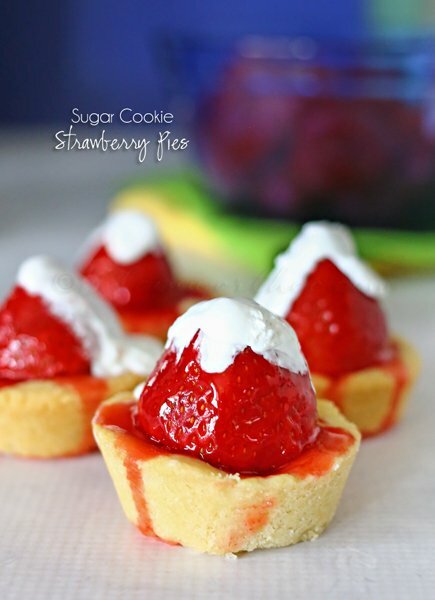 To save time – and effort because I’d be making these for quite a few people! – I’d probably just end up buying the ready-made dough at the store and saving myself few steps 😉 just a little tip for those in a time crunch! I was wondering how I could approach this recipe for a cookie exchange, the cups would be on display fora period of time. You mention the cups will get soft with time from the filling, do you think marscarpone would aid in keeping he liquid content at a minimal? 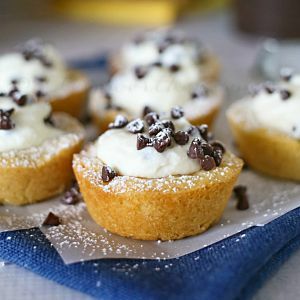 I know this was a while ago, but apart from separating the cookie cups and the filling, I read somewhere that people drain ricotta before using it in things like this.